The May 2017 GSM has concluded and here are the results. As always, the recording for the public portion is available here. We have changed the build permissions around Central City such that [Citizens] and above may build there. This permission was previously restricted to [Councillors] and above. We hope this change will help encourage more activity and construction in CC, as well as allow for us to hold a possible skyscraper building contest there in the future. We have decided to lift the restriction around large stadiums and arenas at [Governor] rank, and allow them for all ranks. This restriction was originally put in place to prevent the overuse of land on the Old World, but with the abundance of land on the New World, this restriction no longer makes sense. Screenshots are to be submitted using the Submission Instructions below. Submissions can be made by any players who are of at least [Member] rank and at most [Admin] rank. The [Owner] will be facilitating the contest and will not make their own submission or vote on any submissions. Each player can make ONLY ONE (1) screenshot submission to the contest. Any further submissions after the first submission will not be accepted. No exceptions. Submissions will be accepted starting from Saturday, May 20th, 2017 at 12:00 am UTC, and until Saturday, June 3rd, 2017 at 11:59 pm UTC. Votes are to be submitted using the MRT Screenshot Contest 2017 Voting Form (to be created later). Voting is open to any players who are of at least [Member] rank and at most [Admin] rank. Each voting player must score each screenshot submission from 1 to 10. Each submission will be then be ranked by their average score tallied out of all votes. Voting for submissions is open on Sunday, June 4th, 2017 at 12:00 am UTC, and until Saturday, June 17th, 2017 at 11:59 UTC. The screenshot may contain any subjects (including structures, towns, cities, landscapes, players, mobs, etc. ), as along as it is within the server rules. Minimum resolution for screenshots is 1024 x 768. Higher resolutions are strongly recommended. The Heads-Up Display (HUD) must be hidden in your screenshot. Press F1 to show/hide it. If you are using OptiFine, you are encouraged to enable connected textures and grass sides. You may use any texture packs. You may use any shaders or renderers. You may crop or rotate your screenshots to your liking, but any further edits or “photoshopping” of your screenshots is prohibited and may result in disqualification. Upload your screenshot to an image hosting service. We strongly recommend imgur.com. Navigate to the MRT subreddit at http://www.reddit.com/r/MRTServer/. If you already have your own Reddit account, please log in to it. Otherwise, please create a new Reddit account. Once you are logged in, click “Submit a new link” on the right-hand side of the MRT subreddit. Your post title can be anything you wish, but it MUST begin with the text “[Screenshot Contest]”. Your post URL should be a link to the screenshot you uploaded. Click “Post”. Don’t panic if your post doesn’t show up immediately on the subreddit. Some posts get caught in the spam filter, and the subreddit moderators will periodically check and approve of such posts so that they will appear. All prize amounts are in-game money and may change without prior notice. The next candidate batch is now open for submissions. As always, please submit your town for consideration using the City Rank Promotion Request Form. Also starting from this batch, we will be trying to run these batches on a monthly basis to make it more consistent for players to plan for their next promotion. Due to many months of inactivity and lack of communication, we have decided to demote _frozen from the administrator position, and _MajorMagpie_ from the moderator position. We have notified both by e-mail about the demotion, and thank them for their many contributions to the server. If they do decide to return and become more active, we will reconsider reinstating at that time. The next update to Minecraft is coming soon, but there are already reports that it is going to break a lot of plugins this time around. Based on this information, we will no longer be accepting any suggestions for new plugins until after the update, as we will likely be too busy fixing existing plugins or finding replacements. A link to our dynmap is now shown when doing /info or /map in-game. Please show this command to new players who ask about our dynmap. B12 (proposed by HammerOnTrains) from Lavender to Titsensaki and Xilona has been approved. B13 (proposed by CaptainChimpy) from St. Anna (NE9) north to Enspington via Banana has been approved. A50 (proposed by Narnia17) extension eastward past Schusterlans (C44) and Whiteley (C41) and the A30 has been approved. B141 (proposed by cardinalland) from Grayzen (XE3) north to Alienor has been approved. Unnumbered B-road (proposed by tomtomy8) from Dulwich (P40) east to Silent Valley has been approved. A proposal by AP_Red to build a metro network in Central City has been approved. A proposal by Ben6331 to build a series of several canal in Benion has been approved. A proposal by camelfantasy to build the Fort Yaxier International Airport south of the city across the canal has been approved. A proposal by _HeavenAngel_ to build a canal connecting Quiris to the nearby sea has been approved. After some consideration, it was decided by staff to go with Frumple’s plan. Some staff members in the coming months may take the initiative and spearhead some of the proposed line expansions. We will be focusing on completing the rest of the perimeter lines, including finishing the Eastern Line and starting construction on the Western and Southern lines. F8 has been granted to Sirots. Avant Heim (the small island northeast of Camino), originally built by computerghost and angelzer0, will not be put for auction ever. XE4 has been granted to cardinalland. A request by Toaro to gain ownership of C117 has been denied. We request that Toaro continue to build and connect his city up to C118 (granted to him at a previous auction) first before asking for C117. Finally, the first of several maintenance windows for our web services was completed last Thursday. Work on these services will be continuing this week on Tuesday, May 23rd from 4 pm to 12 am UTC (9 am to 5 pm PDT). Once again, the website, wiki, dynmap, and files server will be down during this time. The Minecraft server, Mumble, Discord, and subreddit will not be affected. For the latest updates on this maintenance, please keep an eye on announcements posted on our Discord sever, or on our Twitter account. Here are this month’s series of announcements, including the results from the last General Staff Meeting and City Rank Candidate Batch. SMPs are now abolished. Players may no longer share perks from higher ranks as part of the SMP arrangement. One exception: Multiple players and cities may elect to work together on a single large airport. Players may be of any rank to work on the airport, as long as one of the players is of [Governor] rank or higher. The maximum size of the airport is 50% the size of the participating cities combined. Road, bus, and rail connections are now allowed for all ranks, subject to new Road and Rail rules available on the Rules page. [Councillors] and above are now allowed to build any form of transit hub or transit centre. [Councillors] and above can now create unlimited public and private warps. IMPORTANT: Warps must only be used for bus, airplane, or warp train transportation purposes. Creating warps or warp hubs for your own personal use is against the rules and is subject to warnings and/or bans. The price for creating warp signs now costs $0.50, while the price for using warp signs has been reduced from $0.25 to $0.10. Creating warps, or publicizing or privatizing warps is free. Residences and businesses built by other players are no longer required for [Councillor], [Mayor], and [Senator] ranks. We are introducing a new staff rank called Trial Moderator. Trial moderators are new moderators on probation for three months. and have the [Trial Mod] tag. They have all of the same permissions as full moderators, except that full mods have the ability to temporarily ban trial moderators if necessary. Once the probation for a trial moderator is up, Frumple and the admins will make a decision as to promote them to a full moderator or not. For our first batch of Trial Moderators, we have promoted godzilltrain and _Kastle to this new position. Congratulations to both of them! A30 extension via XE22, Ravenna, St. Anna, and Nippia has been approved. B80 Risima Ringroad has been approved. B813 from Spruce Valley (T41) to Vegeta (T44) has been approved. First phase of B91 from Freshney to Xilia has been approved. Gold City is now owned by Toaro. ZN7 is now owned by FredTheTimeLord. C6 is now owned by EliteNeon. The latest candidate batch has concluded. Starting from this batch, we will be making all feedback given to all candidates public on this Google Doc. Please view this document if you were a candidate. Congratulations to all who were promoted and thanks to all who submitted. The next General Staff Meeting will be held this coming Saturday, May 20th at 7pm UTC. The agenda for this meeting will mostly include roads, projects, and town auctions, with no major rule or policy changes expected. 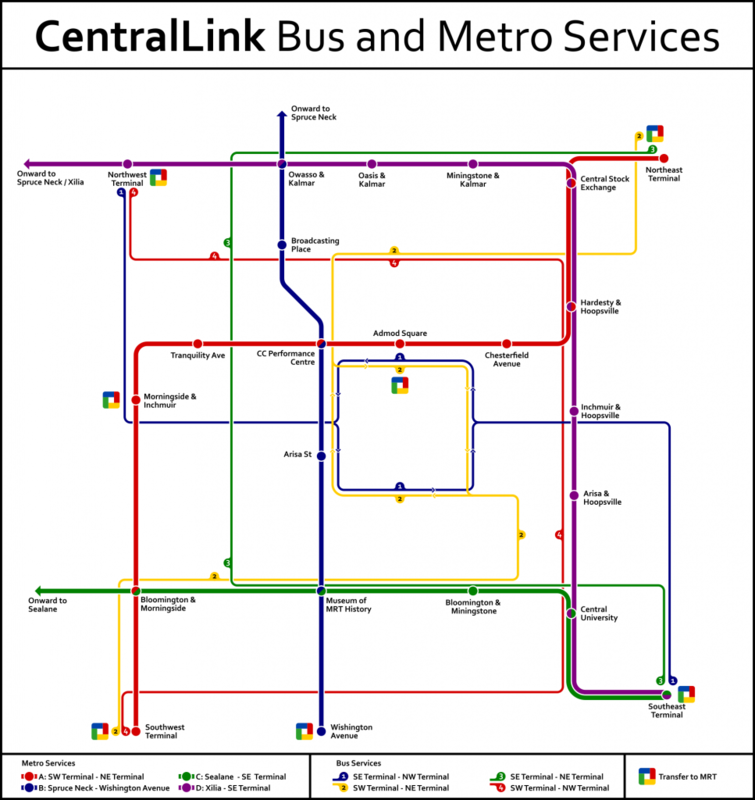 Some noteworthy projects include the introduction of metro and bus networks in Central City. Over the next couple weeks, I will be performing some maintenance on all web-based services of the MRT, which includes the website, wiki, dynmap, and files server. The Minecraft server, Mumble, Discord, and subreddit will not be affected by this maintenance. There will be some major downtime for some or all of these services, of which will be announced mainly in-game, on our Discord server, or via our Twitter account. No dates or times have been concretely set, but please keep an eye out for these announcements as they will be made in the coming days. Thank you for your patience and cooperation.